One of the first big movies for 2014 is out in the Philippines. 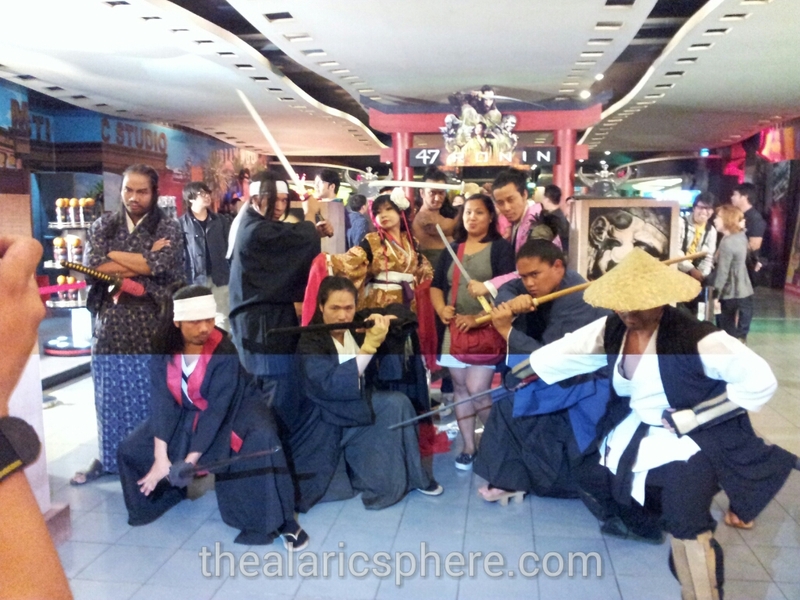 I just got back from watching the premiere of 47 Ronin at SM Megamall. I had been anticipating the release of this movie here in the Philippines for quite some time since there was nothing else of the same genre to watch during the holidays. I wrote about a preview based on what I saw in the movie trailers and after watching, this is what I thought. Unlike any other movies I watch, I came to this one with high expectations. Not only did I expect a good Keanu performance, I also wanted so badly to be entertained given the set pieces that they had to work with for this movie. 1) It’s based on Japanese history so it’s sure to be awesome with a lot of the honor and bowing; 2) Costumes. Samurai costumes are awesome. No matter where you put it. 3) Sword fights. When done right, these are even better and more intense than gun fights. 4) Keanu baby! 47 Ronin is based on actual Japanese history. Just a quick history lesson, Samurai are super awesome bodyguards for nobility. They protect their honor by keeping these nobles alive. Once they fail or their bosses die, then they become masterless and are labeled as Ronin. Or if they piss off their boss, then also get labeled as Ronin (fired). So going back, the plot is about a gang of Samurai who lose their lord and so they try to get revenge on the guys who are responsible. It’s a historic retelling but of course there are Hollywood influenced additions to the dialogue and storyline, but the main plot remains the same. The major addition is the character of Kai (Keanu) who has an unknown origin but could be key to the Ronin’s mission. 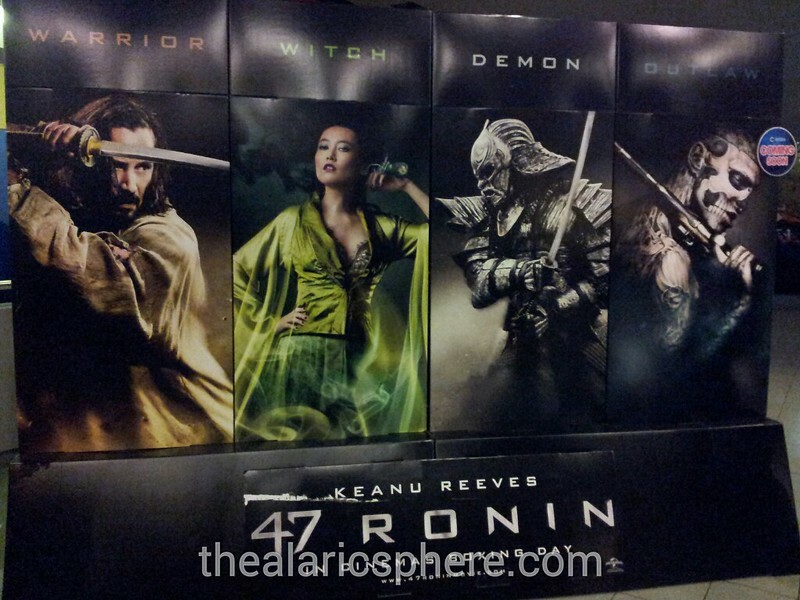 The casting in 47 Ronin was done very well. Keanu Reeves as the demon dude Kai. He’s awesome. Let’s face it, put Keanu anywhere and he’ll be awesome. Comedy (Bill and Ted), Action (Matrix, Speed), Drama (Constantine), Romance (Sweet November). Anywhere. Nothing else left to say. 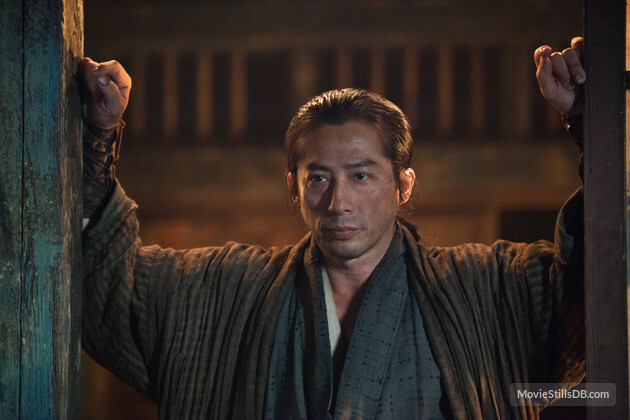 Hiroyuki Sanada plays the warrior Oishi who is the leader of the band of Ronin. He’s the guy who plays the badass samurai with the huge horns in The Last Samurai. He has a much bigger role in this movie and I am starting to become a fan. For the character of Oishi, this is THE Japanese guy to get. 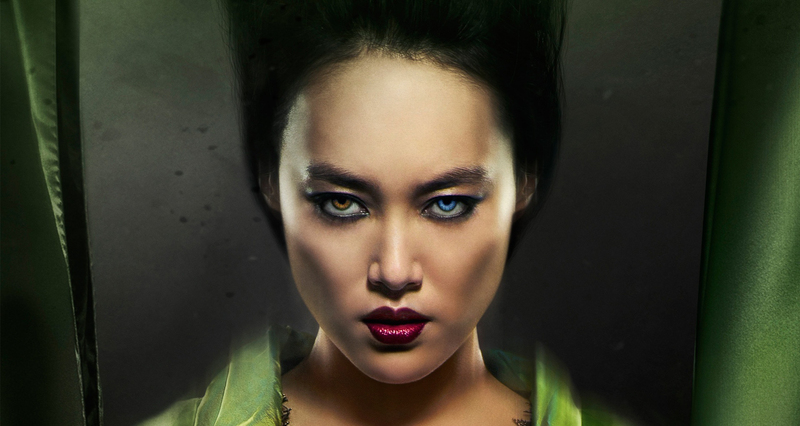 Then there’s Rinko Kukichi who you may know as Mako from Pacific Rim. She plays the witch (MAGIC!!!) in the movie who aids the evil dudes with voodoo stuff. The pacing felt like I was reading a comic book. Which is good since that’s how it should be for this type of story. There is hardly ever a boring or dull moment. The base storyline is already very good in that it’s a historical adaptation. The addition of the magic and demon elements are a welcome addition since this same story has already been told a lot of other times. In terms of the set pieces they had to work with, I super love how each scene is so different. The green and grayness of the forest chase scene, the vibrant colors of the village scene, the faded feel of the pirate cove. Then the costumes, I really liked the armors worn by the samurai as well as the opponent master samurai. The costumes everyone wears feels authentic. The 3D in this movie was also done well for the scenes that needed it. Although a huge chunk of the movie didn’t really have 3D. I will definitely get this on Bluray. I’ve always been fascinated with the Japanese culture and this is a very nice homage to it. 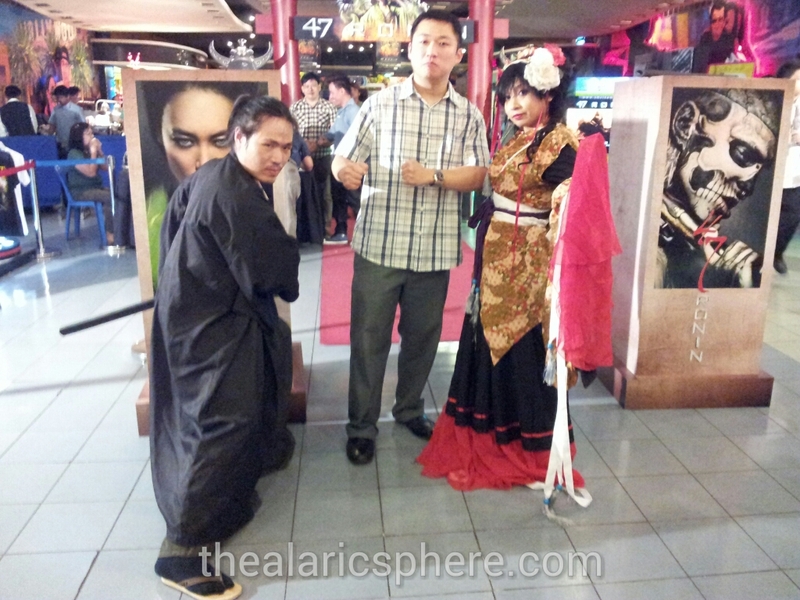 I had a super fun time watching 47 Ronin and my high expectations were surprisingly met. A word of warning: I mentioned it several times. This movie is very Japanese including the storyline… especially the storyline. Make sure you have the right expectations going in. 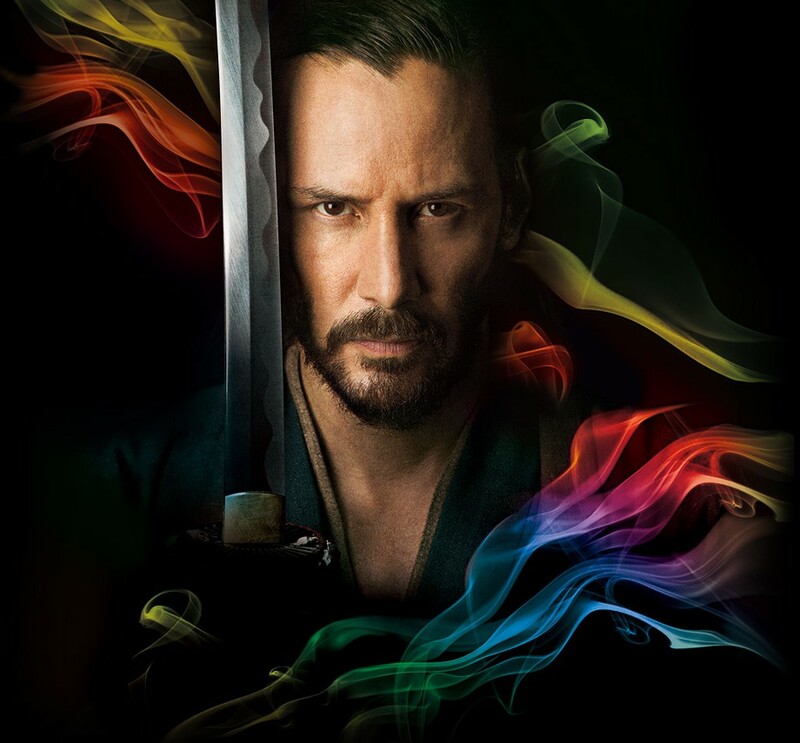 47 Ronin shows in Philippine cinemas on January 8. It is released and distributed by United International Pictures through Solar Entertainment Corp. Score: 5 out of 5 (Amazing). Of course there are cosplayers who were at the event as well. I took the chance to take some pictures of and with them.